What type of backsplashes will go with cream cabinets. Or to turn the question around, what type of cabinets will go with a cream backsplash? Your probably at the stage of thinking about how you want your new kitchen, or you have just come to the point in your kitchen project where you have to decide what kind of backsplash you want in your kitchen. 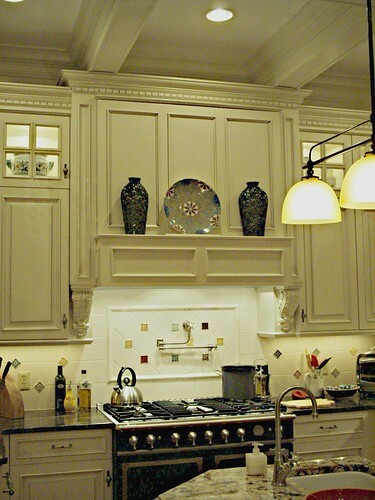 You may have already decided on your cabinets, which are cream, off white or an antique glaze, and your tying to decide which style and color of kitchen backsplash is goiing to bring out the best of the cabinets and flooring that you already have or are deciding upon. With those kinds of colors what immediately springs to mind is a tumbled marble backsplash, to give you a cream tile or close to it with dark brown accents. Or another brown tile with a white accent, or maybe even a white tile with a brown accent. Maybe even cream subway tiles would work well. A feature or an accent could easily be added if so much cream is too much for you and you want something to break it up a little. The other option if you prefer lighter tones is to go for a more neutral backsplash such as a plain white ceramic or neutral subway tiles, especially if your kitchen is already quite busy with colors. Again this can be broken up with features or accents to add more interest. Also consider polished tiles or crackled tiles such as a simple and plain off white crackled subway tile. 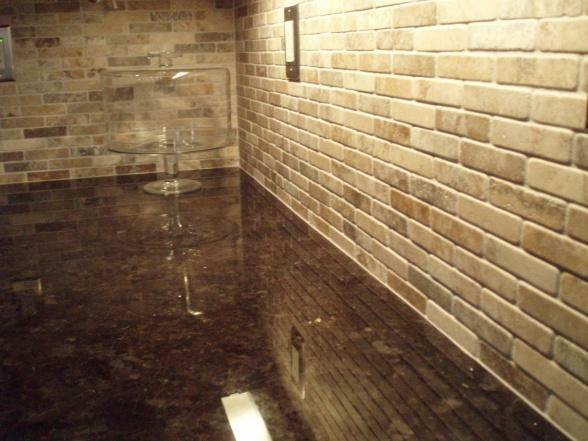 Crema marfil tumbled marble in a brick pattern is also a popular choice for a backsplash to go with this choice of colors. Really the choice here is to either blend in with the kitchen or contrast.